An e.coli outbreak is worrying enough - but will your travel insurance cover e.coli risks when you need it to? 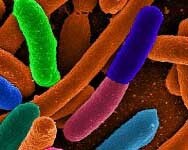 Travel insurance may or may not cover your losses related to an e.coli outbreak. We consider the risks of one of your party contracting the illness itself, the need to cancel your trip if your destination is badly infected, the ability to return home early if you are in an area hit hard by an outbreak and the additional costs you might face if there is travel disruption (because airports you are travelling to or through, or airlines you are using close routes). We assess the risks and highlight insurers who offer special protection against these risks. The most comprehensive policy we have come across is the Aviva Travel insurance policy with both Travel Disruption and Airspace Closure Upgrades. Aviva advise us that e.coli outbreaks were very much the type of incident they had in mind when they designed the product. This policy will cover both the risk of not being able to reach your holiday destination or that of having your holiday curtailed if a significant outbreak occurs. As they are upgrades, travellers can decide what cover they want and what they don't. If you are planning to visit a destination where an outbreak has already been confirmed, do check with Aviva before you buy a policy to ensure it will cover you - but Aviva tell us that you will be insured if you take out a policy to a destination currently free of e.coli. Visit travel policies from Aviva for more information. Any good travel insurance policy should cover you for medical treatment should you fall ill abroad. If you need to cancel your trip as you have already contracted e.coli, the cancellation element of your travel insurance will come into effect. Firstly ensure you have taken the cancellation option as some policies allow you to opt out of this cover in exchange for a cheaper premium. As long as you have taken this cover, you should normally be covered for cancellation if you fall ill but not otherwise - so if you felt you didn't want to travel you would not be insured - this is called a 'disinclination to travel'. The only normal exception might be if the Foreign Office directed that trips to the affected area should not be made. This means if you need to return home early. If you are ill yourself,you are almost certainly covered if doctors feel you should be repatriated, but otherwise cover is unlikely unless you have taken an upgrade such as with the Aviva policy. The Aviva policy would cover the closure of airports or ports, and in many circumstances would allow alternative means of transport to be contracted. Columbus Direct have also developed an Emergency Travel Upgrade on Gold policies which provides assistance, if unforeseen circumstances prevent you from departing from your booked airport for 24 hours, allowing alternative accommodation to be found, or another mode of transport to be used. If you are in any doubt about the cover either Aviva or Columbus provide, contact the companies before taking a policy. Most policies have a travel delay section which would also come into effect, although this compensation tends to be modest. If you have a contract with a hotel, airline or other supplier and they are unable to provide you with their service, they would normally be expected to compensate you. So, if your hotel has been closed by local health officials, the hotel is your first point of call for compensation. However this becomes more difficult if it is a particular hotel or town that is impacted, but flights are still flying to that area, or you have hired a car that is paid for and ready for collection. The hotel may compensate you for your room cost, but because you have been unable or unwilling to rearrange the rest of your trip you could still be well out of pocket. That's when the the Aviva policy kicks in.